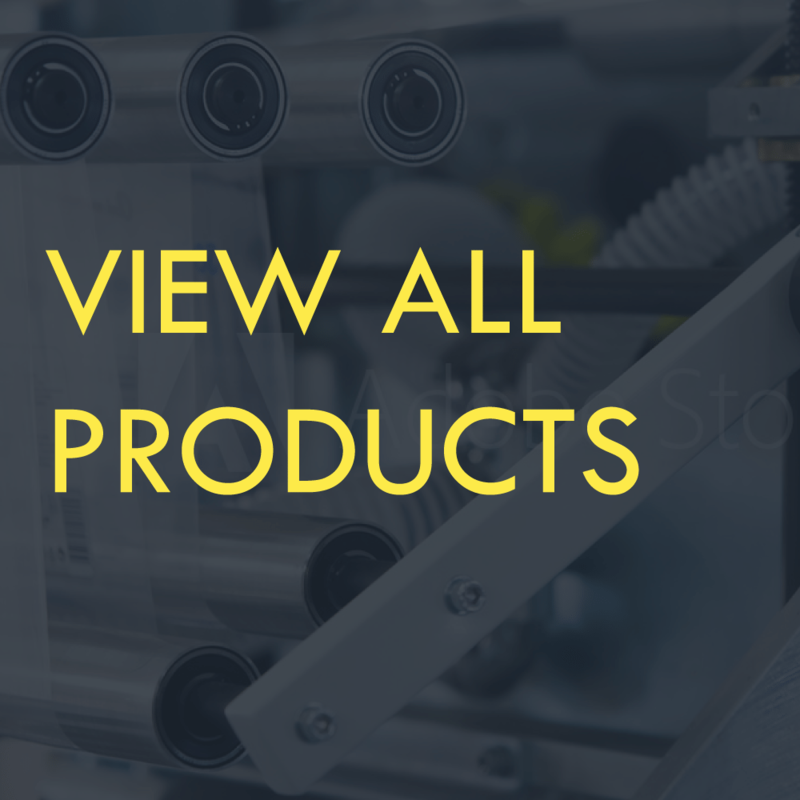 Realizing a need in the market for a machine between automatic label dispensers and a full inline labeling system, Tach-It created our Mini-Con/Stand wipe-on label application assembly and control systems on a movable stand can be moved next any existing conveyor systems. Having full touch screen controls including; 5 memory presets, dwell timer for exact label placement, target counter and the ability to apply 1 label or 1 and 2 labels (if the labels are alternating on the web). 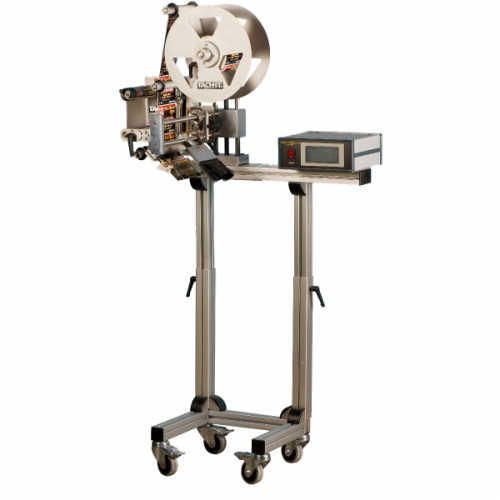 the Mini-Con/Stand Label Applicating system offers an inexpensive way to automate any labeling operation where there is an existing conveyor. 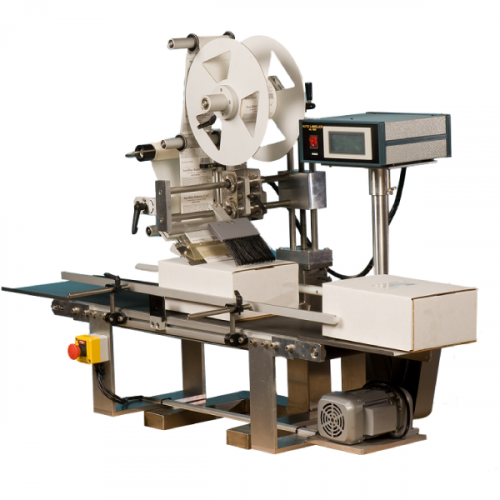 Easy to locate, the label head uses a non-contact sensor to detect the label and can use labels up to 5 inch wide and 11 inch long. Using stepper motor controls, the control system has adjustable motor speed to match the conveyor speed to ensure smooth application of the label in the precise desired location. If portability is important, we offer the MCU wipe-on label application assembly and control system with a movable and adjustable stand.